Hey everyone! It's been a while since I last posted about the latest movies especially since I started working but thanks to Nuffnang I was able to catch Dawn of The Planet of The Apes at TGV Pavillion. Although it was quite a distance for me to watch the movie at Pavillion but how can I not watch my favourite monkey Caesar! Anyway, they met some humans in the woods which are our human actors which are the remaining humans in San Francisco who are genetically immune to the virus! These humans were actually in search for the dam which could help generate power for them to contact other survivors around the world as well as to continue surviving. Humans unlike apes need light and other power to survive. The ape community did not take well to their presence and Caesar ordered them not to return. 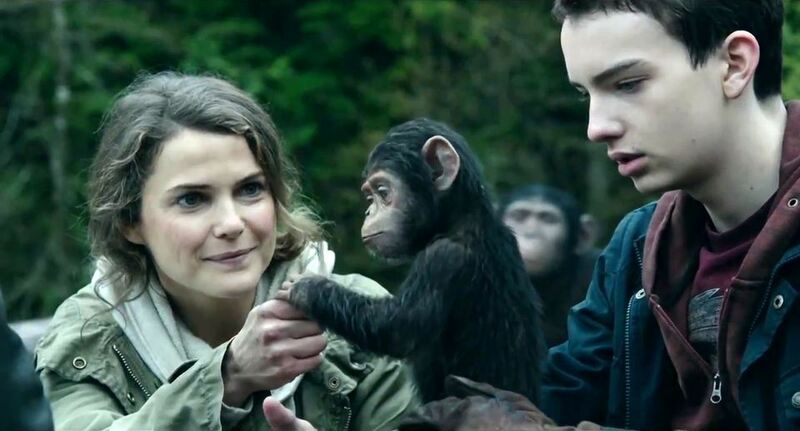 Anyway, these humans went back and reported about talking apes in the mountains and the story goes on to the human hero...Malcolm who trusted the apes and feels that he can communicate with them. Anyhow the story goes on to the a part of the humans and the apes working together and also another part which rebels and wants to destroy one another to survive. I love how the movie portrays today's society where there are some who help one another to achieve each others needs and goals while others have the mindset that only one can be the winner. The collaboration between apes and humans could actually work out if not for some people/apes that do not give chance to one another and cause the terrible war between apes and humans that caused numerous lives to be lost. Ok.. I seriously hate this monkey/ape since the first movie. If you watch the first movie you will know him as Kobo, the ape that was experimented on by humans which caused him to hate humans very much! He is seriously evil and cunning! I don't want to spoil the movie for all of you so you really have to watch the movie to see how evil this monkey is. 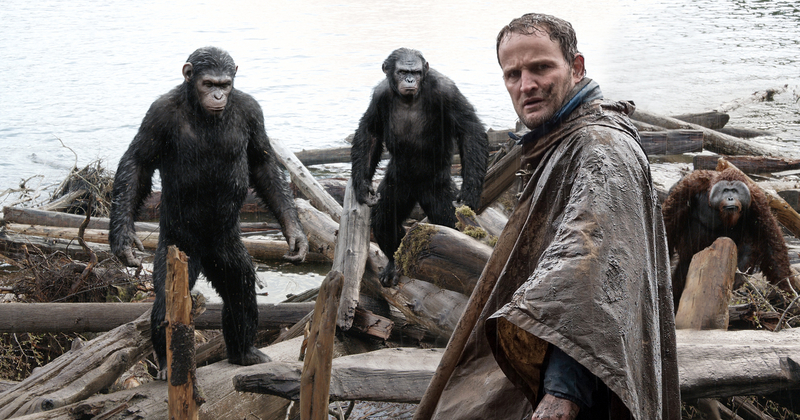 Jason Clarke also played a good role as Malcolm the leader for the small group that formed a strong bond with Caesar and the other apes. He was able to look past the fact that they were apes and trusted Caesar to help them. He and Caesar also had the same understanding about their rebellious sons. Here are some of the reasons why you should catch the screening of Dawn of The Planet of The Apes at your nearest cinemas now! 1. Watch how even though we are different from one another, we are very much alike. 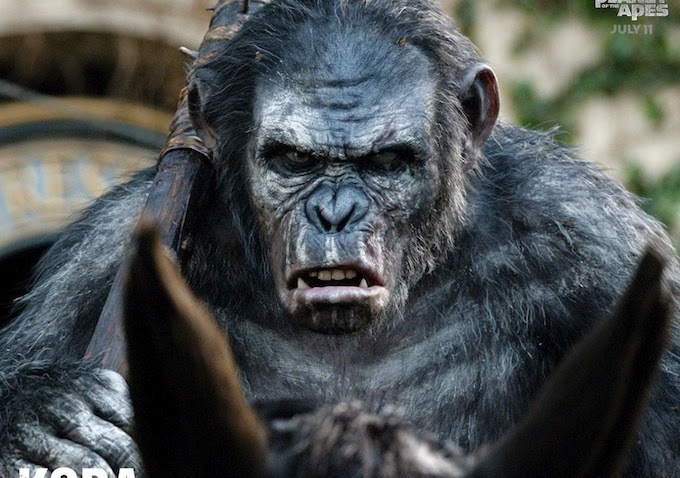 Due to the hatred of Koba towards humans, he started the war between humans and apes and overthrowing Caesar as the leader of the apes. His hatred and desire to revenge against the humans made him blind to all the destruction he caused. The ending of the movie is really touching and I won't spoil it for you all but I really love the ending scene between Caesar and Malcolm! The head-touching scene really shows that man or ape we are the same deep down. Four stars for the great acting and the effort of the whole team in acting as apes which I know is seriously tiring! Love the meaning of the movie and how they shot the movie! So go on and check out this movie in your nearest cinema now!